I've made two short films about Dota 2 like this one: A Dota Short: Tidehunter's Tactics or the one displayed above. I appreciate that you made it to my Patreon page. Just the fact that you're here tells me that you've thought about the time and hard work that goes into making animated short films like those I've done until now. Thanks a lot. 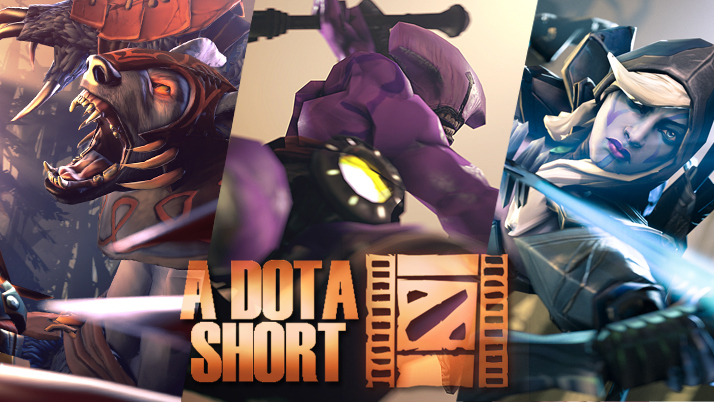 Supporting A Dota Short on Patreon will allow me to keep on making episodes. I'm an independant 3D Artist and won't be able to make a third episode without your help! Plus, you like Dota 2 as much as I do. I'd like to think that supporting me you contribute to make the community yet a little more active. Every patronage level is welcome, even at $1. Basically, you'll have access to A Dota Short special feed here at Patreon. Then, for a greater financial support, I'd like to have you involved in the making process, either by letting you chose which character should appear in next episode for instance or by submitting scenario ideas to the community vote. Ultimately, I offer to post "SFM how to" videos for the most generous donators. It goes without saying that I thank all Dota 2 and animation lovers who'll help me achieve this series project. I greatly appreciate your support! - Thank you so much for stopping by, every little help is appreciated! Get access to my special, donors-only Patreon activity feed with updates, screenshots, and messages. You'll also have my sincere thanks for supporting the project! Get unique wallpapers from A Dota Short films. Includes previous reward level. At the end of every episode, I'll propose three topics for a future Dota Short. And you'll get to vote on which one I should make! (could be comedy or epic stuff) Includes all previous reward levels. Become a part of the Dota Short story by getting your name listed as a "Sponsor" in the credits. Includes all previous reward levels. Tell me which characters you would like to see in next episode! I'll draw one suggestion of lots. If I wind up making a short on the character you chose, your name will be added as a special sponsor in the credits! Includes all previous reward levels. Get access to "SFM How To" videos I'll post on Patreon special feed. This is the amount I need per video to do A Dota Short for a living.